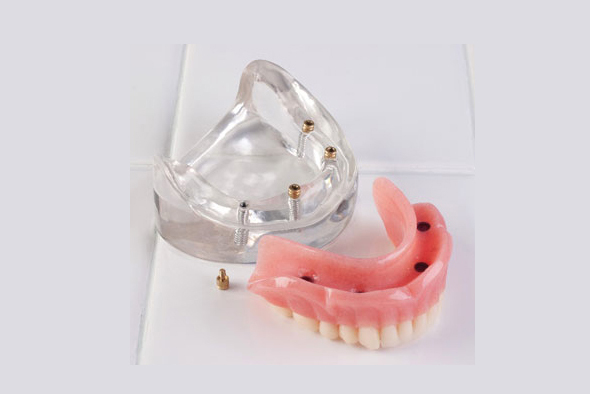 Vitallium partial dentures: The most common type of partial dentures, a fully customized fit ensures increased stability and comfort. In some cases, the clasps are visible. 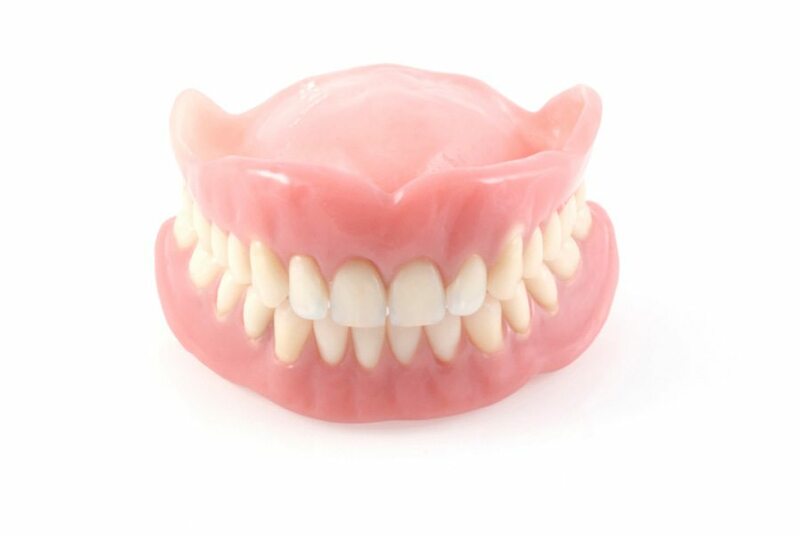 Soft liner: Cushions lower dentures, absorbs pressure from chewing, reduces gum sensitivity, improves comfort (does not increase stability), high maintenance. 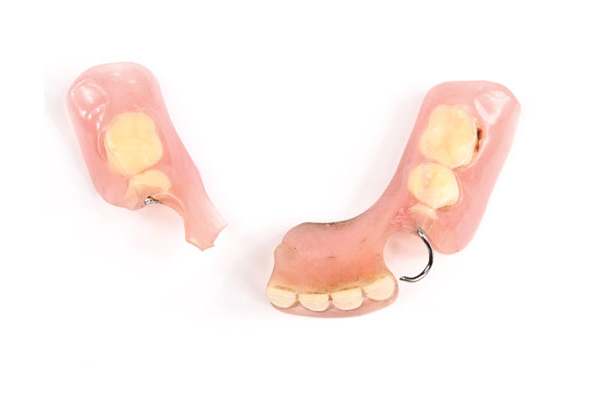 Repair: In most cases, dentures are repaired while you wait. In most cases, it is possible to repair or modify an existing dental prosthesis. You should never try to repair it yourself as this may worsen the existing situation and make professional repair impossible. Most repair done while you wait. Enamel teeth brakes more easily then an acrylique type. 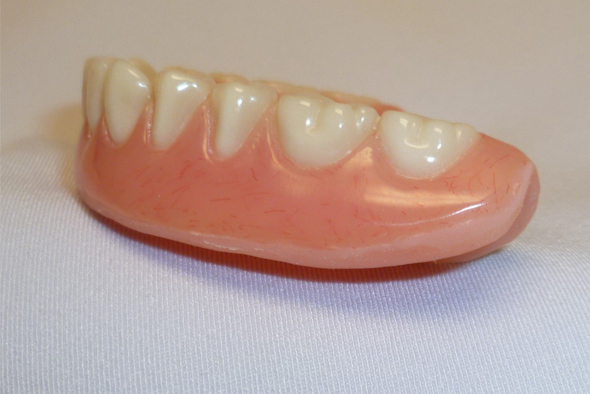 A denture’s reparation is not warranty. 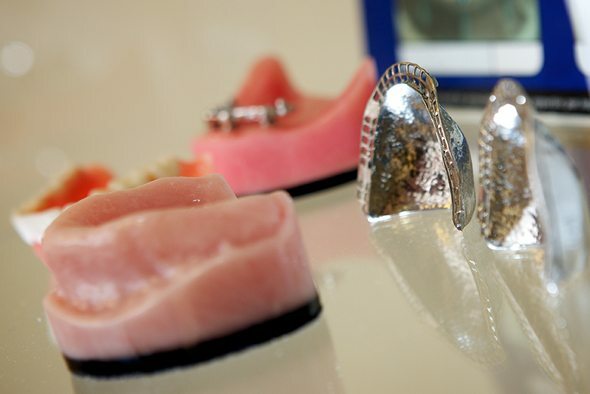 Metal Palate: The benefits of a prosthesis constructed with a metal palate include the reinforcement of complete upper dentures, a considerably thinner plate against the roof of the patient’s mouth and the restored sensation of hot and cold. Bite Plate: This treatment is for those who suffers from pain in the temporomandibular joint (TMJ) and for those who suffer from bruxism (teeth grinding). 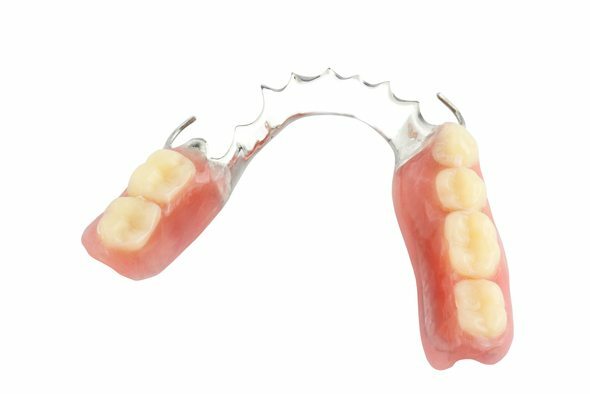 In most cases, we design a transparent acrylic plate that covers the teeth and allows freedom of lateral movement and jaw protrusion. The vertical space in the mouth is increased by about 2 mm in order to diminish the strength of the occlusion.